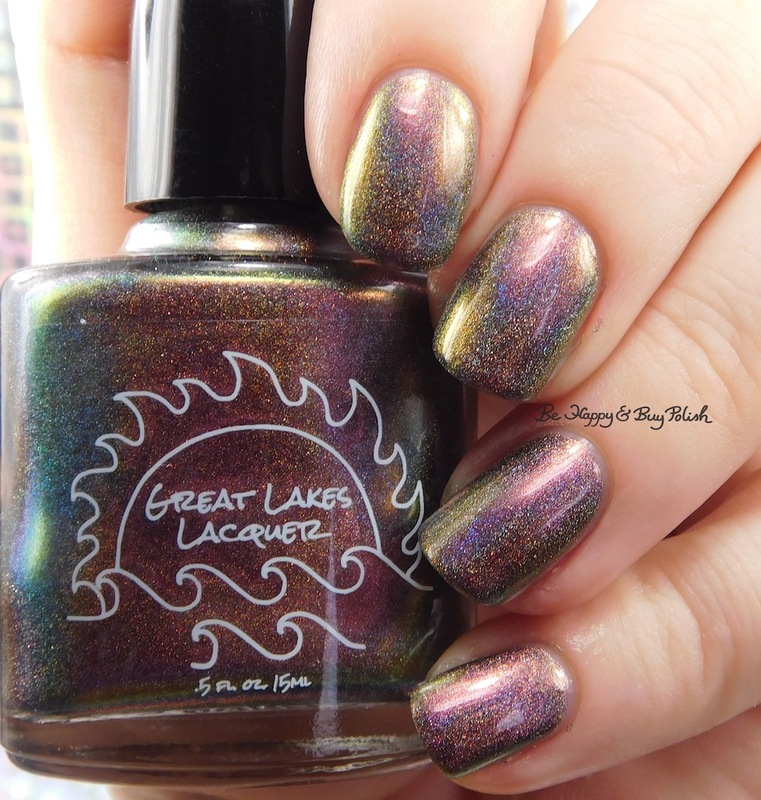 Great Lakes Lacquer O R’lyeh? [October 2017 Polish Pickup Pack], 2 coats plus top coat. This was almost a One-Coat Wonder. Freaking beautiful! 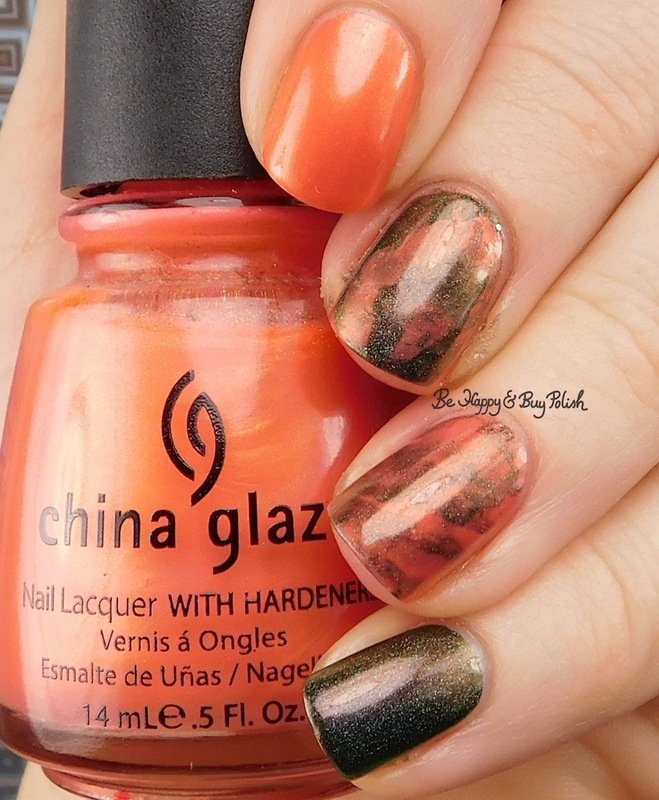 China Glaze Thataway, 2 coats plus top coat. Super thin. 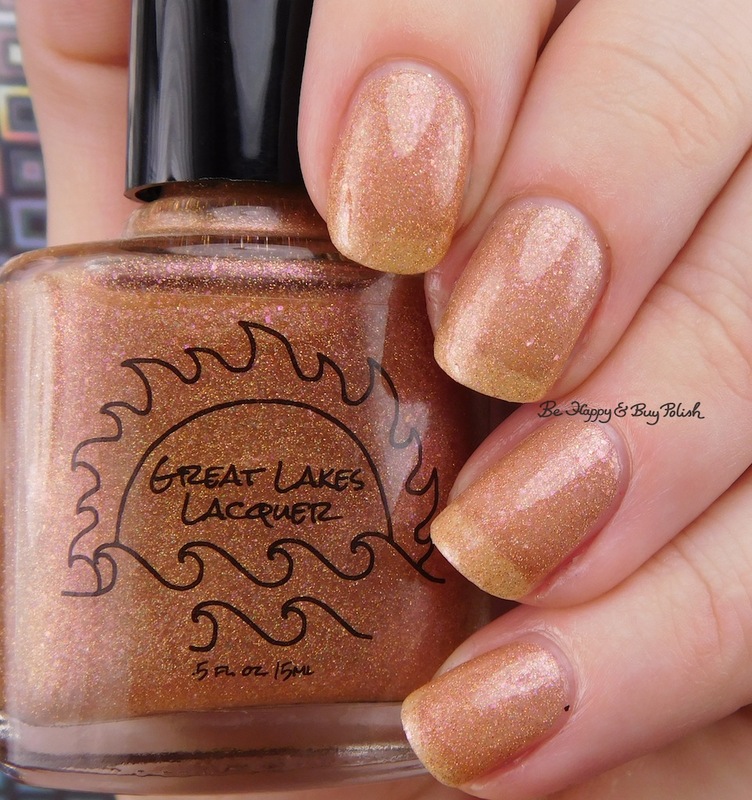 I freaking loved this mani. Flashy and just brilliant. 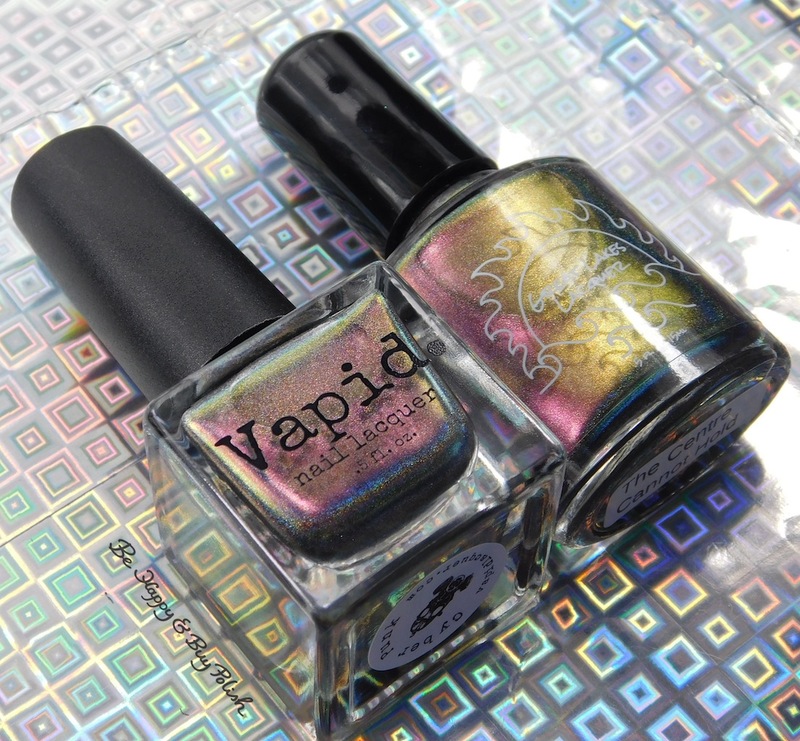 Just one of those manicures that makes you feel amazing while you’re wearing it. Is that a little silly, maybe? I don’t care. 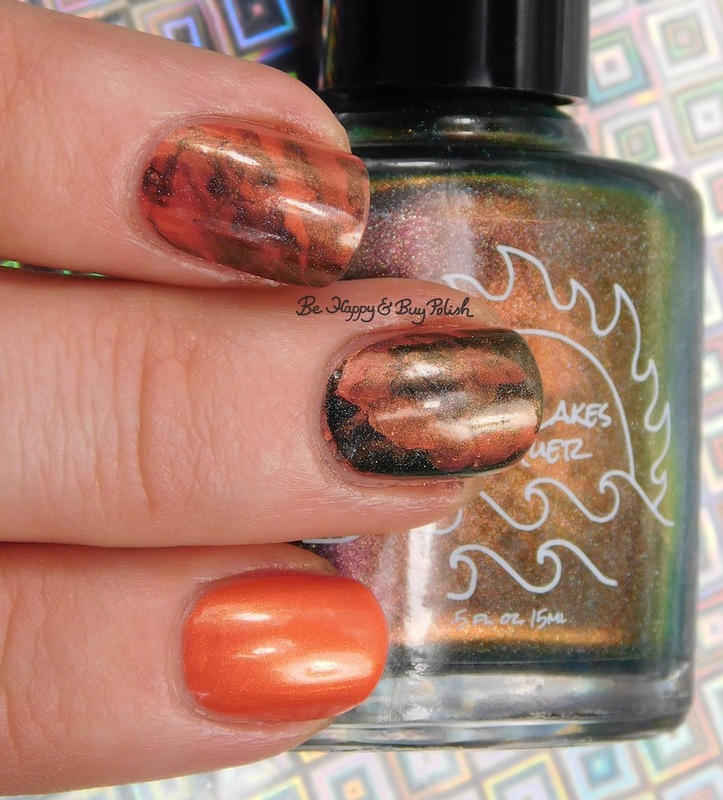 😛 I painted the two colors next to each other on a piece of sandwich baggie, then smooshed it with a stamper and placed it on the nail. Morning all! 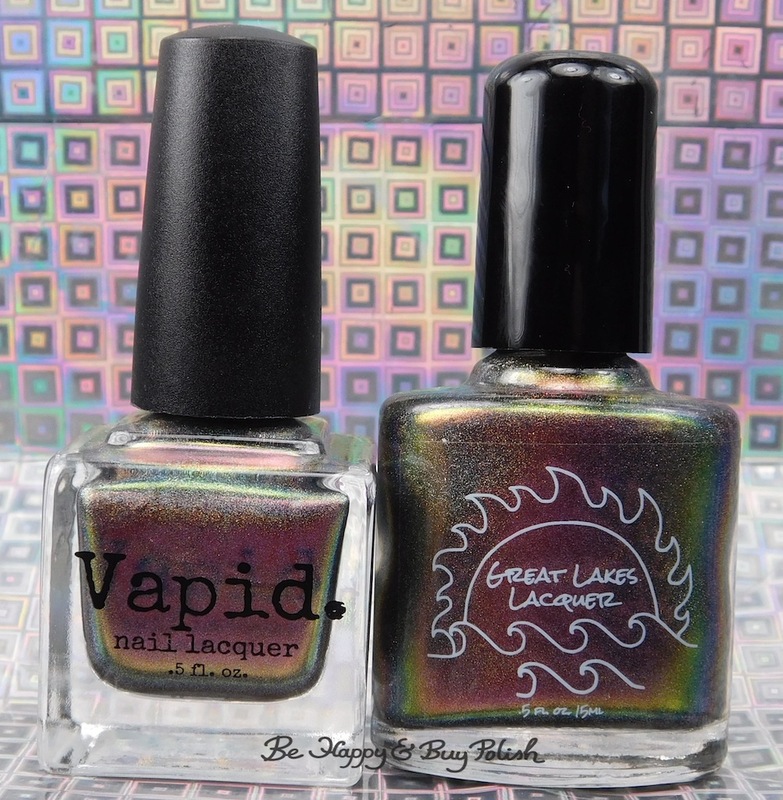 A few months ago, I showed you a comparison of Great Lakes Lacquer The Centre Cannot Hold versus Vapid Lacquer Cyber Punk. And I’ve shown you individual photos of Cyber Punk so I guess it’s high time I show you individual photos of The Centre Cannot Hold!